This table will contain as many of the crew members of HMS and HMNZS Gambia as I can find. At the moment it contains a little over 3,600 people. I do not have access to crew lists prior to 1952 so there are a lot fewer entries for the years 1941 to 1951. 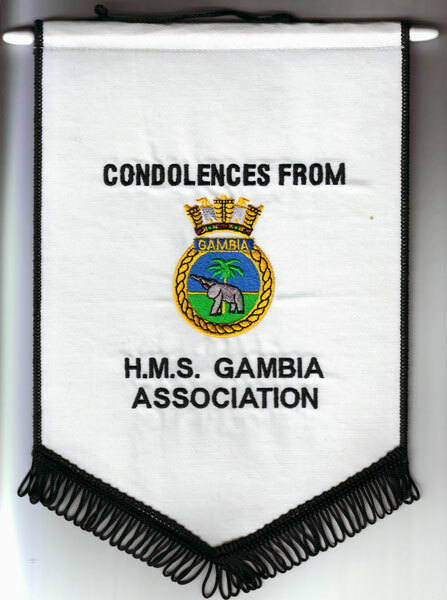 Most people who have no dates listed would have served on HMS Gambia sometime before 1952. Where I have some information on these people I have provided links to it. Some have their own pages, others I just have one or two lines for. The columns in the table are sortable by simply clicking on the column headers. You can navigate trough the table by clicking on the buttons at the bottom left of the table. The names are searchable by typing in the "Name" box at the top left of the table. This will only search through the Name column. You can use to use the "Year" slider to filter the table by year. This only works on the start year. For people where there is no year, these have been given a start year of 1950 as after that, I am fairly certain I have the names and dates correct as most of those came from the Commission Books. The table was created using the Google Charts API and is based off a Google Spreadsheet. I found some of the ranks a bit confusing. Ranks also reflected a sailors trade and those changed over the years to reflect new practices andd equipment. Where psossible I have put the full rank instead of the abbreviations. Two sites I found especially useful were Glossary of Ranks and Ratings Titles. Another site that was particularly useful was the National Library of Scotland collection of Navy Lists. Those volumes cover 1913 to 1944 and each has a list of the ranks and the abbreviations used at the beginning of the books.